(well what were you expecting to do?!). 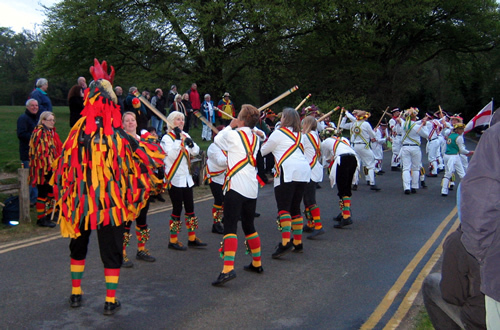 So for once I was up bright and early to greet the dawn with the Morris Men on Box Hill. 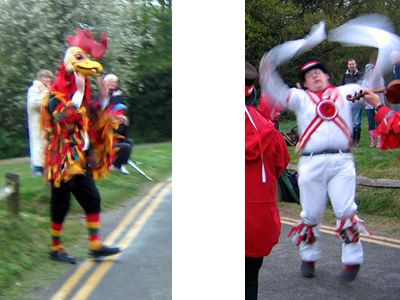 There were 3 sides today - Off Spring Morris, Ragged Rooster, and Ewell St Mary. I was a bit cold - seemed mild enough to not wear a coat when I got out of the car, but to stay warm you had to be dancing! 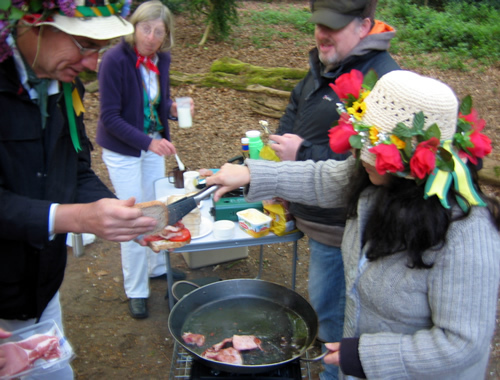 It was all rounded off nicely, though, with a warming cup of tea and a cooked breakfast. They know what's important in life those Morris (Wo)Men.